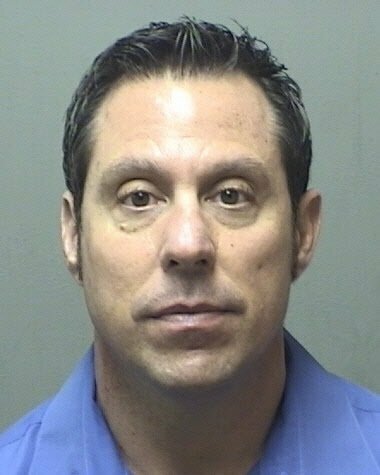 DETROIT – Former Inkster, Highland Park, and Detroit police officer William “Robocop” Melendez finally faces trial beginning Mon. Nov. 2, in the near-fatal beating of Black Detroit autoworker Floyd Dent, 57, during an Inkster traffic stop Jan. 28. Dent was unarmed. The dashcam video of the beating (at top of story) went viral, sparking four major protests in Inkster, Highland Park, and Detroit after Channel Four’s Kevin Dietz first aired it. Dietz also aired other videos showing Melendez planting drugs in Dent’s car, and one showing Melendez and his crew taunting the bleeding Dent and ignoring his requests for medical attention, during his booking on charges which were later dismissed. Dent and his attorney Gregory Rohl have said he sustained permanent injuries from the beating, including broken ribs and memory loss from bleeding on the brain. 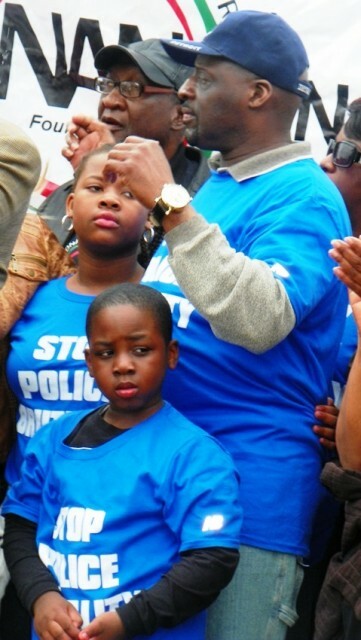 Floyd Dent and his grandchildren on stage after march in Inkster supporting him April 2, 2015. Melendez faces charges of “Assault with Intent to Do Great Bodily Harm Less than Murder, Common Law Offenses, and Assault by Strangulation.” The charges, brought by Wayne County Prosecutor Kym Worthy, carry a total of 25 years in prison. None of the other cops shown in the videos kicking, tasing and taunting Dent were charged. Melendez’ defense attorney James C. Thomas, who previously represented former Detroit Mayor Kwame Kilpatrick, plans to call 25-35 witnesses, while Asst. Prosecutor Robert Donaldson said he plans to call only 5-6 witnesses, along with any rebuttal witnesses. Judge Evans earlier ruled that testimony regarding Dent’s alleged arrest record and drug use would be allowed, likely accounting for the number of defense witnesses. However, there are no crimes or arrests on Dent’s State Police ICHAT record, or in Wayne County Third Judicial Circuit Court records. 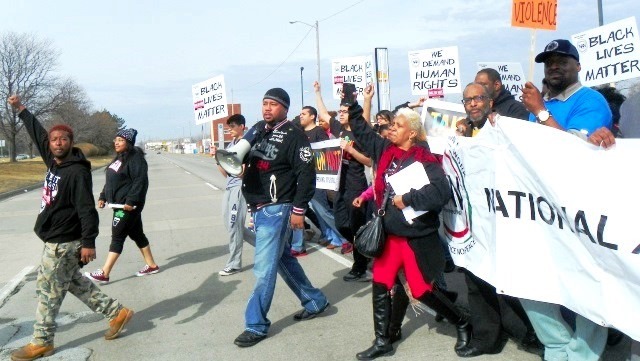 “They need to allow testimony from all the people who have been killed, mangled, shot, assaulted and framed by Melendez, or from their families,” Cornell Squires, of We the People for the People, said. Squires’ son was tried in 1999 before then Judge Kym Worthy, who refused to allow key defense evidence to be considered. MCL 768.27 Evidence; proof of intent or motive by similar acts. During his long-term tenure with the Detroit Police Department, Melendez helped shoot to death two unarmed Detroiters, Lou Adkins, during a traffic stop in 1996, and Ernest Crutchfield, in his own kitchen in 2003. “Robocop” has been sued a total of 12 times in federal court, costing Detroit over $1.2 million. The City of Inkster paid $1.3 million to settle Dent’s case. Melendez and Detroit cop Matthew Zani were the ringleaders of a group of 18 cops who carried out an “L.A. Ramparts”-style campaign of assaults, sexual abuse, frame-ups, and death threats, according to charges brought to trial by the U.S. Department of Justice in 2004. Circuit court judges dropped charges against several of the witnesses after the officers were indicted. But the first eight cops, including Melendez, were acquitted in what prosecutors called a “jury nullification verdict,” despite the fact that the witnesses against Melendez et. al. included 17 Black Detroit police officers. “I’ve been a civil rights attorney for 14 years, and never in that time have I seen a police officer testify against another officer, because of the blue code of silence,” Attorney Kevin Ernst told this reporter then. “When you have other officers testifying, it’s hard to believe that it’s not true.” He represented chief witness Clifton White, who had been subjected to constant criminal acts by Melendez and other Third and Fourth precinct cops over a period of 10 years. But Melendez’ attorney David Lee rejoiced. After the verdict, the number of killings by Detroit police spiked dramatically, but Worthy, who took office in January, 2004, refused to bring charges against any Detroit cops in the killings, until Joseph Weekley and a Detroit SWAT-style crew killed seven-year-old Aiyana Jones May 16, 2010. 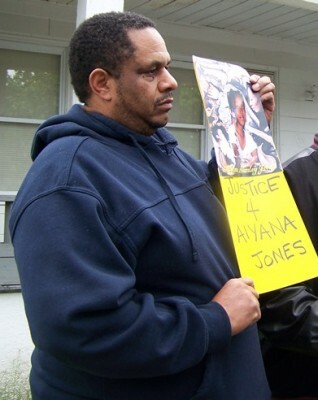 Sign for Aiyana Jones (center) was carried at every march in support of Floyd Dent. Ron Hereford, whose son was framed by Southfield cops, is at right. Weekley, charged with involuntary manslaughter, walked free after three trials during which it was clear that the prosecution conspired with the defense and Wayne County Circuit Court Judge Cynthia Gray Hathaway. Instead, the little girl’s father and uncle, Charles Jones and Chauncey Owens, were sent to prison for 40-60 years and life, respectively, based on testimony secured largely from jail-house snitches about the killing of Je’Rean Blake, 17. 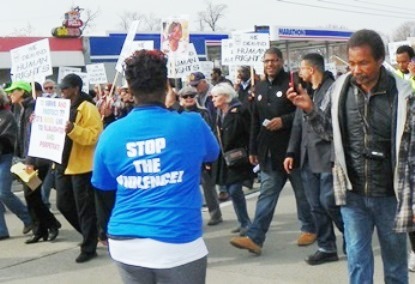 Youth heads off march to Inkster police station to support Floyd Dent (at right) April 2, 2015.